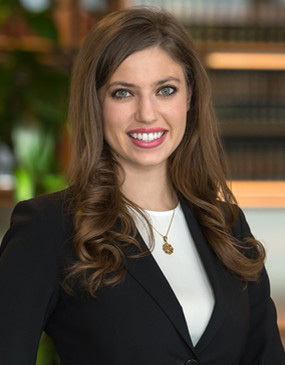 Christine M. Carletta is an Associate at Whiteman Osterman & Hanna LLP specializing in complex commercial and intellectual property litigation as well as data privacy compliance and incident response. Ms. Carletta represents clients from the financial services, data marketing, mobile devices, cloud storage, education, health care, music, and energy services industries. Ms. Carletta regularly advises clients on compliance with a wide variety of cybersecurity, data protection, and privacy laws and frameworks. She assists clients in developing comprehensive compliance programs, provides advice on applying “privacy by design” and “data protection by design” principles as well as advice on risks relating to the use and transfer of personally identifiable information, including PHI. Ms. Carletta has experience conducting risk assessments, drafting privacy, social media, and other information-related policies, as well as replying to information requests. She also advises clients who have suffered a security incident and/or data breach by assisting with incident investigation, drafting and filing data breach reports and notifications, and managing civil litigation arising therefrom. Ms. Carletta litigates frequently in many different areas of the law, including deceptive trade practices, insider data theft, defamation, regulatory challenges, civil rights, class action, and enforcement of trademarks and copyrights. These complex litigation matters often find her in front of the United States Court of Appeals for the Second Circuit, the United States District Court for the Southern District of New York, New York state trial and appellate courts, the USPTO Trademark Trials and Appeals Board, the Financial Industry Regulatory Authority, and many other federal and state agencies and commissions. Ms. Carletta is admitted to practice law in New York, the United States Court of Appeals for the Second Circuit, and the Northern, Southern, and Eastern Districts of New York. She is a member of the New York State Bar Association, Albany County Bar Association, and the International Association of Privacy Professionals. Ms. Carletta is certified as an information privacy professional for the US privacy domain (CIPP/US) by the IAPP. Ms. Carletta joined Whiteman Osterman & Hanna following a clerkship with the Honorable James C. Mahan of the United States District Court for the District of Nevada. Ms. Carletta received her Juris Doctor from Vanderbilt Law School where, on a student practice order, she argued and won U.S. v. Richardson, 597 Fed. App’x 328 (6th Cir. 2015), before the United States Court of Appeals for the Sixth Circuit. She also served as Editor in Chief of the Vanderbilt Journal of Entertainment and Technology Law and received the Robert L. Sullivan Scholarship for her work in intellectual property and technology law. Originally from Brunswick, New York, Ms. Carletta is a graduate of the Emma Willard School and Bowdoin College.